Secretariat staff of the Philippine Legislators’ Committee on Population and Development (PLCPD) underwent a training on disaster risk reduction and management (DRRM) planning, contingency planning, as well as basic life support, first aid, and search and rescue as part of its two-day inception workshop in preparation for the implementation of an upcoming project on disaster preparedness and response in the province of Laguna. 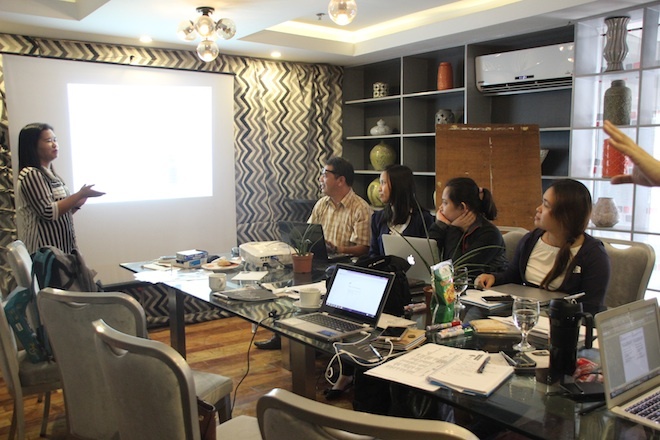 During the first part of the workshop, the PLCPD Secretariat developed a project implementation plan that incorporates strategies for implementation, sustainability, risk management, and monitoring and evaluation. With regard to sustainability, PLCPD has committed to advocate for budget allocation especially in the barangay DRRM and contingency plans and work closely with the municipal governments to ensure that LGUs will provide budgetary allocation for their plans. In the second part of the workshop, resource persons from the Population, Health and Environment (PHE) Network and the Quezon City DRRM Office were invited to discuss DRR in governance, and the contents and step-by-step process in conducting a barangay DRRM planning that encompasses preparation, mitigation, reduction, rehabilitation, recovery, and the actual action plan. Contingency planning was also discussed. 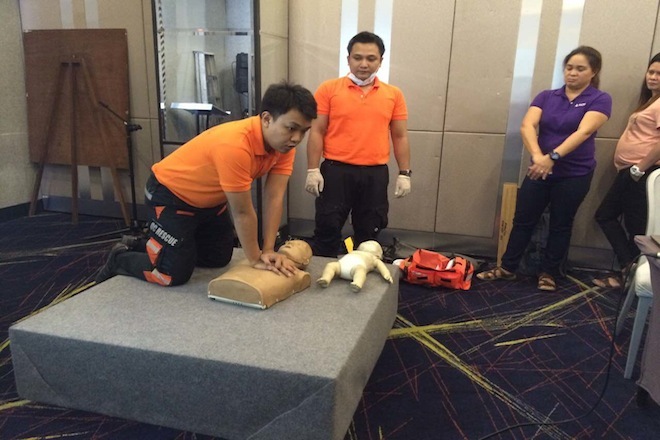 The final part of the workshop included lectures, demonstration, and exercises on basic life support and search and rescue. The training was held on 24-25 January in Quezon City in preparation for the implementation of a project on disaster preparedness and response, which seeks to assist and capacitate 25 barangays in five municipalities in the province of Laguna in their barangay DRRM planning and contingency planning. The project is supported by UN World Food Programme (WFP)-Philippines and is a continuation of a previous project in which PLCPD conducted a review of the policy environment and local situation on food and nutrition security in relation to disaster preparedness and response in 10 provinces of the Philippines including Laguna.